Any individual who does not believe that the Second Amendment guarantees a fundamental right and who does not respect our God-given right of self-defense should not serve on any court, much less receive a lifetime appointment to the highest court in the land. Justice Sotomayor’s blatant reversal on this critical issue requires that we look beyond statements made during confirmation hearings and examine a nominee’s entire body of work. Unfortunately, Ms. Kagan’s record on the Second Amendment gives us no confidence that if confirmed to the Court, she will faithfully defend the fundamental, individual right to keep and bear arms of law-abiding Americans. For these reasons, the National Rifle Association has no choice but to oppose the confirmation of Solicitor General Elena Kagan to the U.S. Supreme Court. Given the importance of this issue, this vote will be considered in NRA’s future candidate evaluations. So they are opposed, and it’s going to be graded. No doubt the haters are going to take credit for forcing NRA’s hand — to do what they did not want to do. Their valiant efforts have clearly gotten NRA to fold on their plan to merely let Kagan slip on through. Because they hate the Second Amendment, you know. Please, Sebastian. You’re better than that. I’m glad to see the NRA’s opposition. So which senator will be the first to put a hold on the nomination? The fact is that there are “pro-gun” groups out there that make it sound as though NRA is secretly committed to 80% of the Brady Campaign’s agenda–and the motivation for the outlandish claim is to raise funds for themselves. Sad to say, NRA, of course, is primarily in the business of raising funds to keep itself in business, too. But at least they do a pretty effective job as Vulcan chess master. Can you take off the rose-colored glasses for even a minute? We’ll probably never know, but if the outcry over DISCLOSE/”Gag” order got the Lairds to actually *do* something that a significant percentage of their membership wants them to do, you know, *represent* them and advocate for the Second Amendment, then fine. Whatever it takes. Sometimes you gotta lobby the lobbyists. I can assure you I’m not wearing rose colored glasses on this particular issue. Something you might want to point out to some of the people who take Redstate seriously: when the McDonald decision came out, Redstate–that’s not only Erickson, but all his co-bloggers as well–waited *a full day* before even mentioning it. This indicates a lack of any real interest in the 2A issue. Tellingly, one of Erickson’s slams on the NRA was their endorsement of Strickland over Kasich in the Ohio governor’s race, even though Kasich has a horrible record on gun rights. I personally would probably vote for Kasich for other reasons, holding my nose, but one could argue that not only was the NRA justified in their endorsement, but that they were morally required to give it. However, that brings me, sadly, to my point of contention vs. your views and the NRA’s. As I’ve said before, as horrible a senator and a person as Harry Reid is, the NRA would be right to endorse him if he were pro-gun. However, HE ISN’T. Part of the reason, I think, that you see things differently from me is that (correct me if I’m wrong) you were not particularly engaged with this issue during the 1990’s. Being a gun owner and 2A supporter during the Clinton antigun pogrom was not a pleasant thing. It went far beyond the Brady Bill and the AWB. Gun owners were dehumanized by Hollywood and rock groups, and businesses seemed to be moving toward policies on gun ownership similar to their policies on drug use: IOW, it was disallowed at home as well as at work. Clinton tried to get a gun registry in place, and when he couldn’t, he broke his own Brady law by keeping an illegal registry of gun purchasers. He tried to sue gun manufacturers to force them to adopt draconian gun control legislation that even the weak-kneed GOP Congress wouldn’t pass. He regularly attended fundraisers where actors would endorse him and simultaneously call for gun confiscation. He signed legislation that made it illegal for a 60-year old who had got into a fight with his brother on his eighteenth birthday to ever touch a gun again. And, of course, he incinerated the children of the Branch Davidians because their parents had not paid an NFA tax on time, and gloated about it for the next eight years. He was, in short, an antigun monster. And Reid backed him every inch of the way. Reid ran a radio ad in 1998 in which a comedienne made fun of Charleton Heston and the NRA, saying that he and the GOP Congress wanted to give weapons to criminals. Once on C-SPAN, he said that anyone who hunted with assault weapons needed to find a new sport. He actually voted to make it illegal for gun dealers who were sued to discharge their debts through bankruptcy. Reid’s record since the Clinton years has been more or less pro-2A, but this isn’t because a light bulb has gone off within his head. It’s partly because gun control is no longer popular with the American people, but also because Presidents Bush and Obama have not pushed for gun control legislation. If Obama does push for gun control, Reid will be using all his evil games to support him, and will almost certainly be successful. Hypothetically, if Hermann Goering had emigrated to the US in 1945 and become a Senator, do you think the ADL would be justified in endorsing him, assuming he had a pro-Israel voting record? That’s how bad it is with Reid. He is an anti-gun extremist, and if he is reelected he will successfully push that anti-gun agenda. I will address his Reid accusations when I get a chance. There are a lot of them, I won’t have time to get to them all, but suffice it to say, those were put together to make the total picture of Harry Reid a lot worse than it really is. 95% of politicians go where the money and votes are. In fact, I think 5% of politicians being true believers is probably being generous. If we only worked with those who really believed, we’d lose. Doesn’t matter she already has the job. She had it the instant obama nominated her. This is just a dog and pony show. Sebastian, has it ever occurred to you that Reid may be padding his own pro-gun record? You like to mention the fact that, as Majority Leader, he controls what goes to the floor. The flip side, though, is that he can send legislation that (a) is guaranteed not to pass, but on which he can make a cynical pro-2A vote, or (b) that will pass, but doesn’t make a real difference. An example of (a) is Thune’s reciprocity bill. The way Reid structured the vote, it needed 60 votes to pass, and when it looked as if it would pass anyway, some Democrat senators switched their votes. Think Reid wasn’t involved in that? End result: Reid gets two more “pro-gun” votes to his name; and, except for those six pro-gun train riders, nothing is changed. Just FYI, I don’t buy into Erickson’s “corrupt bargain” theory of the NRA and Harry Reid. I just think the NRA is using an overly rigid system of grading senators, without regard to their anti-gun pasts or their lack of contrition for the same. If you average Reid’s lifetime gun votes, he comes out looking OK, simply because he voted pro-gun from 2000 to 2009, when it would have been insane to do otherwise. Put it this way: no one in his right mind, including you or the NRA, would ever accuse Nancy Pelosi of being “pro-gun.” Yet many of the same things you say on his behalf could be said for her as well: the Amtrak and national parks laws had to go through the House as well as the Senate. The only difference is that Pelosi didn’t actually vote “yes” on the legislation. The big-picture problem here is that NRA-ILA is always reacting to the “haters,” as you call them, instead of proactively talking to the membership about what it’s doing. When they do react, the response often lacks conviction, as this Kagan memo does. The question is not “what are you prepared to oppose?” The better question is (putting on my best Sean Connery accent) “WHAT are you prepared to DO?” And NRA-ILA still isn’t answering that question. I just watched Chris Cox’s Tuesday interview on NRA News. He effectively shot down the “gag order” nonsense and expressed our opposition to the Kagan nomination. However, he didn’t exactly inspire confidence when he said (paraphrasing) “Just as we opposed Sotomayor last year, now we oppose Kagan.” Obviously, the opposition to Sotomayor wasn’t effective. 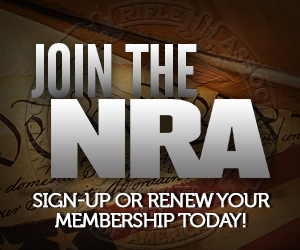 Now that we hold a much stronger hand, what is NRA-ILA doing to win this time? I’m not hearing much about that. And Cox’s nonsense about “listening and letting the process work” doesn’t cut it. We all knew months ago where Kagan stood on RKBA, and there was no good reason to keep the dogs leashed until the hearing circus was underway. A bad SCOTUS confirmation can do much more long-term damage than a presidential election, and it should be taken that seriously. You won’t hear much about that. It would be like asking people in a poker tournament to tell you about their cards so that you would know what’s going on. If they tell you about their cards, they also tell the other players. You might know better about what’s going on, but they are going to severely limit their options, and will likely be out of the game. This is tough for some people, but you have to trust them. If you don’t trust them, maybe NRA isn’t the organization for you. Knowing many of them, I trust them. I don’t always think they get it right, hell they don’t always think they get it right, but they are committed. They are doing the best they can do. Defeating Sotomayor or Kagan, who was nominated by a Dem president when the Dems have an overwhelming majority, is practically impossible to begin with. Elections have consequences, and this is one of them. NRA has no magic wand… it can act based only on its political power, which is not infinite. Because the Democrat Party as a whole has had a strong history of opposing gun rights, and of flopping from “Pro” to “Anti” at a moment’s notice (Gillibrand of NY, in the Senate, comes to mind), perhaps a “grade cap” should be placed on anyone who chooses to run as a Democrat: A Democrat should be capped at a “B-” or a “B” unless there is very strong evidence that it should be otherwise! That would be a great way to guarantee the Democrats don’t bother courting the gun vote, ever. If we implemented that practice before this Congress, we’d be getting steam rolled right now along with everyone else. This has to be a bipartisan issue in order for us to win permanent support for gun rights. There is no getting around that fact. That means you can’t categorically punish legislators because of their party affiliation. Dear lord, that kind of extremist view would turn Pennsylvania into an anti-gun state overnight. We have tons of solidly pro-gun Democrats with decades of votes in our favor. You know, sometimes people are registered with a party for more than just one issue. I know that might be shocking news to some people, but it does happen. Aye, there’s the rub! Yet another good idea crushed by reality! Still, even if the NRA can’t do it (and has very good reasons for not doing it), it would not be bad practice at all for anyone serious about gun rights to do it mentally, when looking at NRA ratings. I’m still waiting for my idea in my latest post to get crushed by reality. We’ll see if someone can say why it’s a bad idea. The poker-game analogy might or might not be relevant to the SCOTUS confirmation process. I’m skeptical, but I don’t have enough inside information on that process to be completely sure. On the other hand, the analogy definitely doesn’t work for the recent PR fiasco on the DISCLOSE Act. I agree with Sebastian that the NRA’s strategy on DISCLOSE was good. Unfortunately, after the NRA leaders played their hand, they didn’t tell the membership diddly-squat until they came under merciless attack from Erickson, Hewitt, et al. That’s horribly inept member relations and public relations, and it wasn’t the first time it happened. A couple of years ago, NRA made a deal on the GCA amendments. They finally decided to tell the membership about it five or six days after the story ran in the Washington Post. Again, terrible member relations. We’re not children, guys. And now it looks like they’re going to repeat the same mistakes with the Harry Reid endorsement. Any bets on whether they’re going to ask the membership about our views of Harry Reid? NRA put out the letter on DISCLOSE early on. We were talking about it here long before Erickson. The issue with member communication is because it was the Dems that floated that deal. Health Schuler (NRA A-rated) was trying to exempt all 501(c)(4)s, which probably wouldn’t have raised any concern. But once the Dem leadership rejected Schuler’s amendment and floated the infamous one, everything blew up. I don’t think that’s NRA fault so much as people not paying attention.